When Penny comes home from school she runs right into my office and proudly shares the crafts and drawings she made that day. 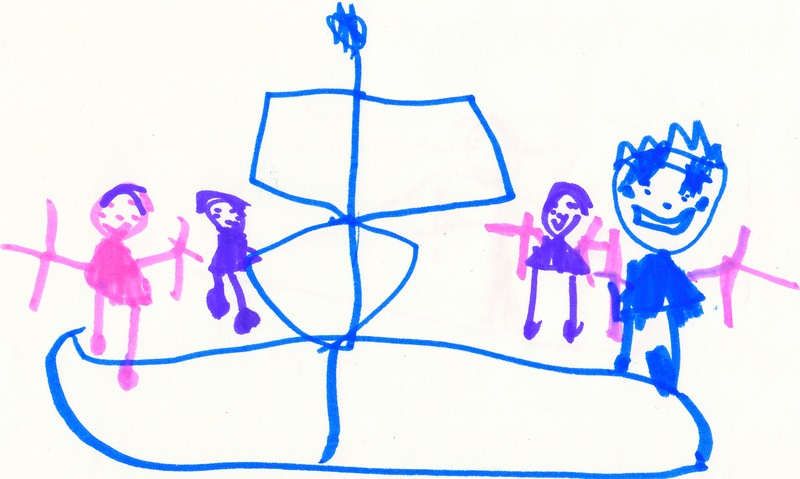 When showing me this drawing she told me everyone that went for a boat ride: Penny, Oliver, Lucas and Daddy. When I asked where was I she said “You are the boat”. you truly are for your family. Smart and inspired art by your little girl. the most beautiful thing a mommy can hear…and so true.